whoever is reading this: today marks three months since our wedding! so many things have changed in the last ninety days – new city, new jobs, new names. it’s like we’re completely new people. it’s kind of fun. if you ever feel in a rut, i’d suggest finding a life partner and moving to a city you’ve never been where you know no one. its pretty freeing. but that’s not the point of this. the point of this is to say somewhere in those ninety days, we also went on a fun-filled, food-filled honeymoon that we loved so much. we made so many memories that we want to save and be able to look back on, and share with people who might be interested (aka our moms + my aunt patty. hi aunt patty!). no recipes here, just utilizing our little chunk of the www as a digital scrapbook. ; ) we took a lot of pictures, so i’m breaking it down into a few posts, so this poor little blog doesn’t explode. 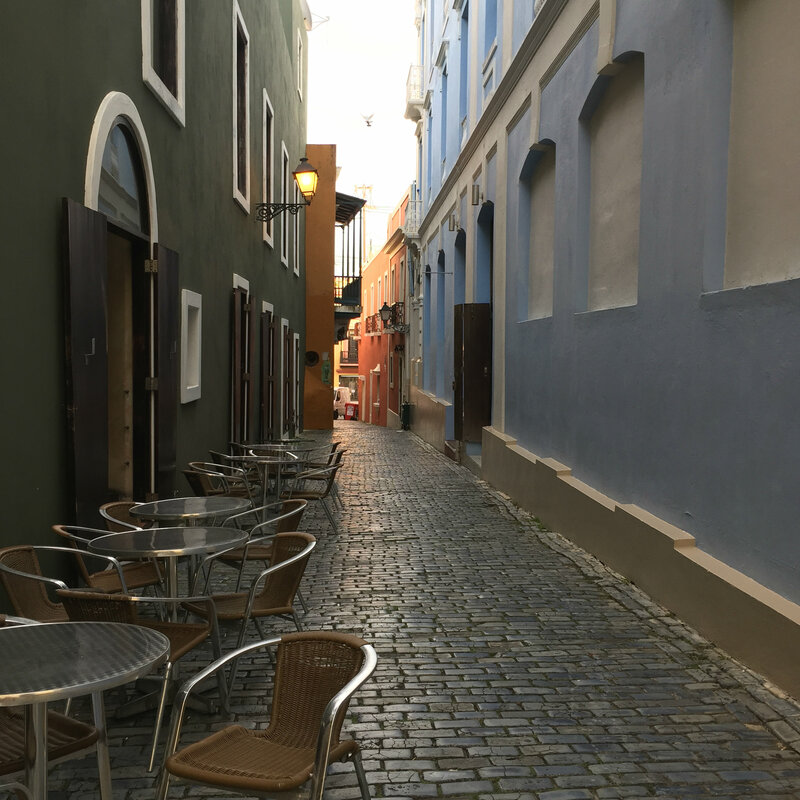 first up, old san juan! 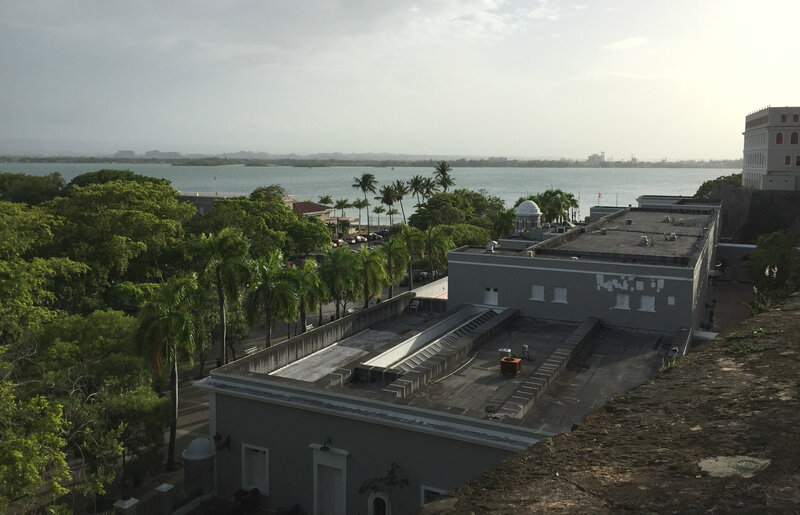 old san juan was established in the early 1500s. these city walls have been standing for about five hundred years! when i think about how many people have probably touched them, i want to go swim in a vat of hand sanitizer, but when i don’t think about that and focus on how green and blue everything is it’s pretty great. it’s cool to imagine it without all of those buildings, like it would have looked right after the walls were built. the trees were so green! the light was so perfect! also, it was 100 degrees and we were covered in sweat. 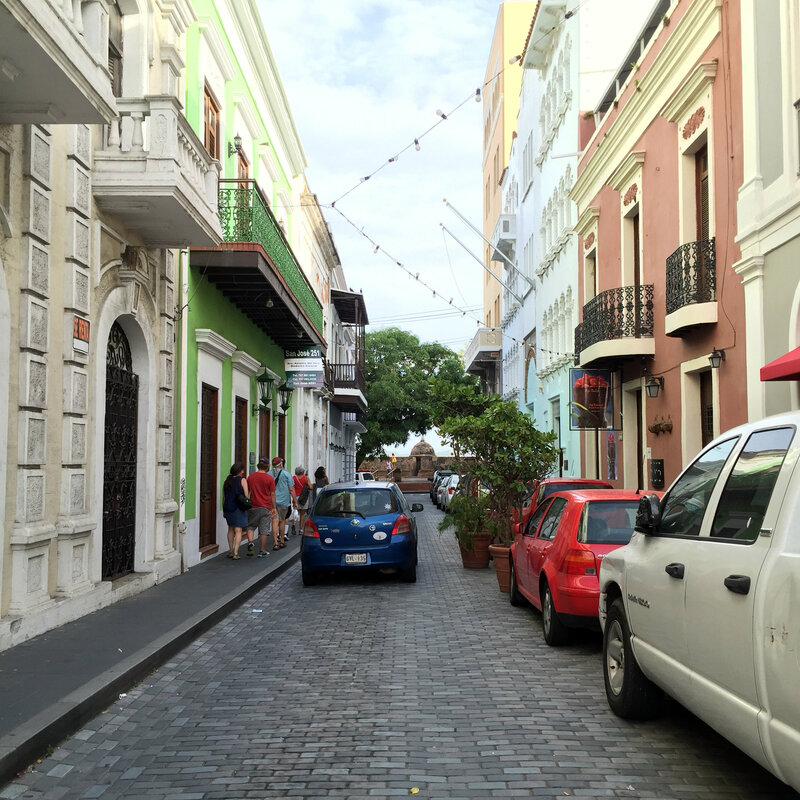 the streets of old san juan were so pretty – and so packed with tourists! 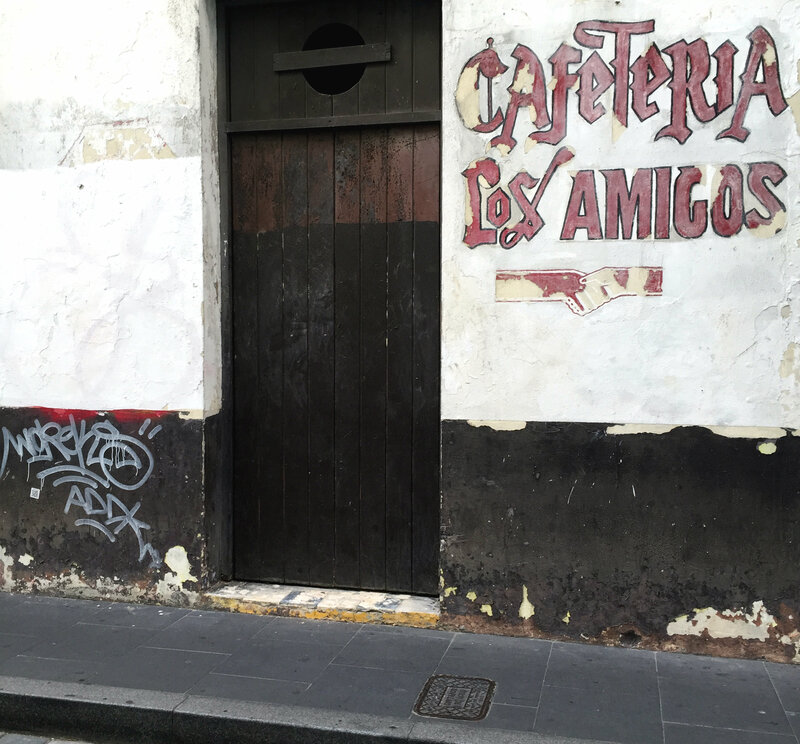 we spent one evening/night here, walking the streets and looking for cool shops or restaurants go to. there really weren’t any. everything was so incredibly commercial and touristy. 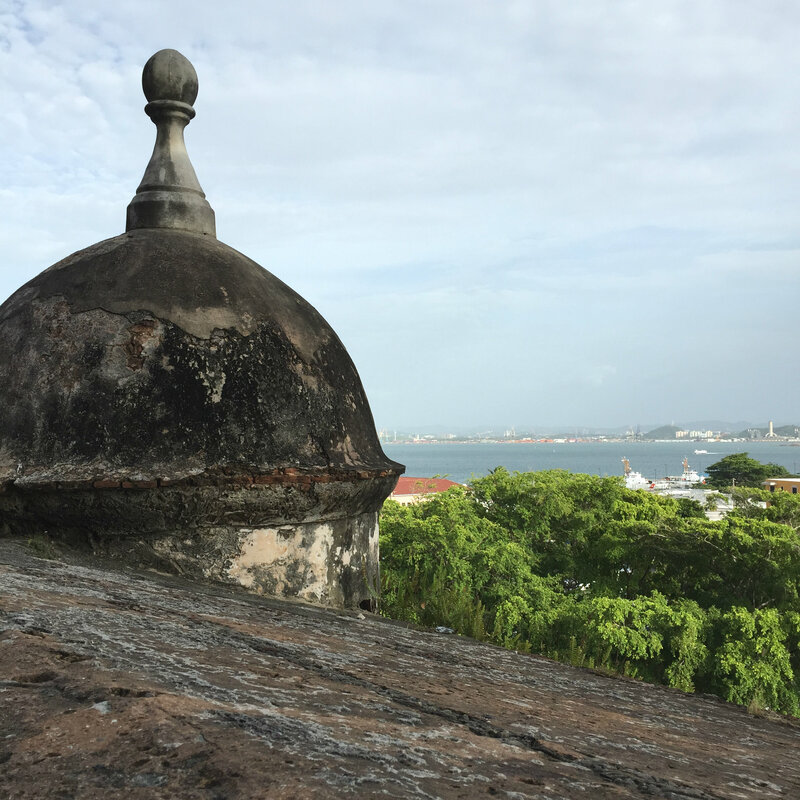 that was fine, some people like buying t-shirts and shot glasses that say “I LOVE SAN JUAN”. we just don’t happen to be those people. we walked around and looked at houses. and stopped at the occasional alley bar for a medalla, the local beer. these alleys are so cute. it’s like disney world for adults. or for adults who aren’t my husband, because honestly he still loves disney world. but he liked this alley, too, which is why i married him. i love him because he lets me stare at cute alleys and take pictures of them, and smiles and says, can i carry your bag? even if he really wants to walk to another alley to get another medalla. he’s the best. also, there was this cute place. we didn’t eat here but we probably should have because we both love cafeterias. 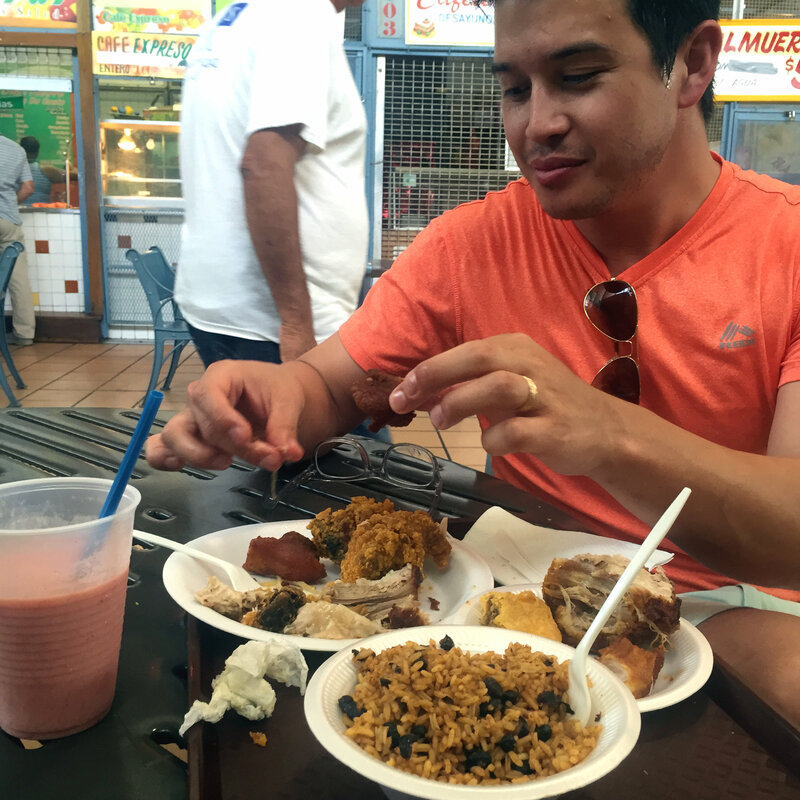 we also spent a lot of time going to local markets, which if you eat the way we do, kind of made it like a giant cafeteria. we’d get trays, walk around filling them up at different stations then meet back to share. our eyes were always bigger than our bellies. did i mention it was 100 degrees? it was more like 120 in these markets. no air conditioning and lots of ovens going. you can see the sweat dripping! 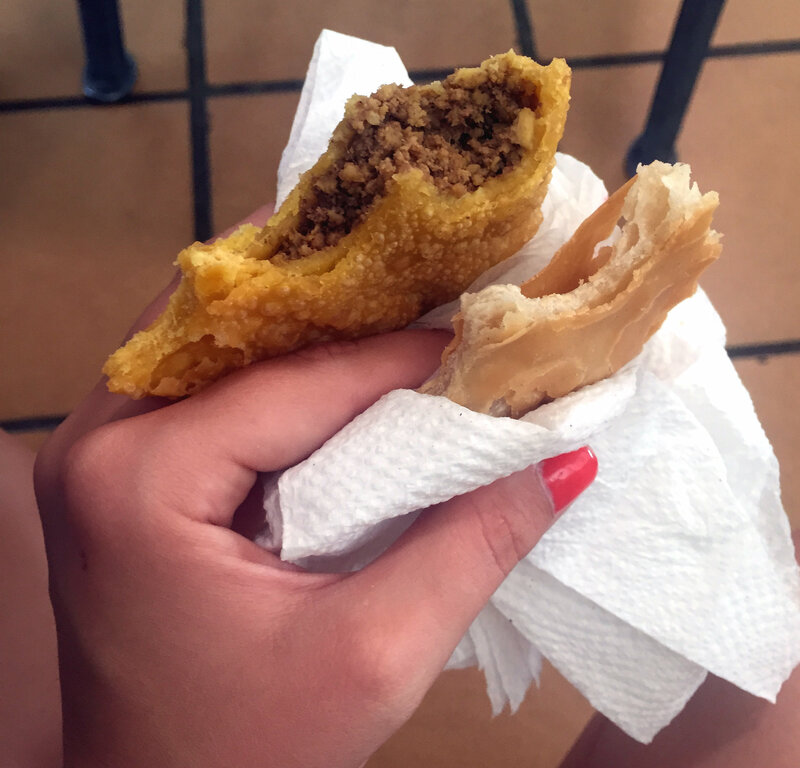 i ate a lot of these fried dough things. i’m not quite sure what they were and i don’t speak spanish very well. the lady at the stand with these felt so bad for me because of my feeble attempts at spanish, she gave them to me for free, which in turn made me feel bad. until i ate them. they were so good. now i like to think of them as a honeymoon gift. : ) i want more honeymoon gifts tonight for dinner. oh, yeah! the beach! 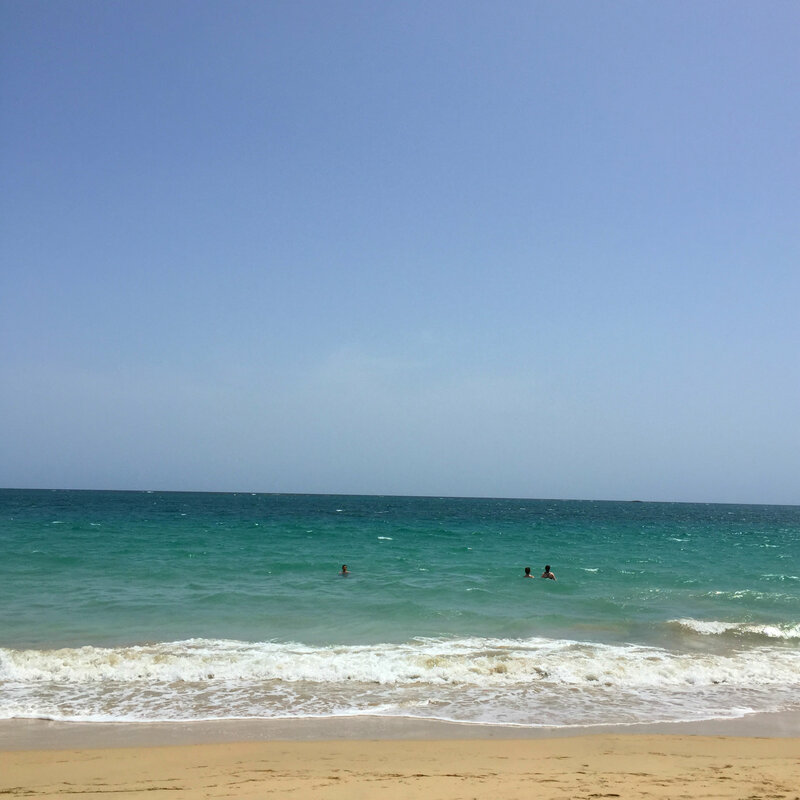 puerto rico has beaches! we went to the beach a few times. the water was perfect: so clear and just the right temperature. we laid on the sand, read books, played beach tennis, swam… but there was no food at the beach, so we packed up our things and moved along. i’m learning quickly, that’s the life of a nakano — always looking for the next meal. I love you soo much!!!!! !